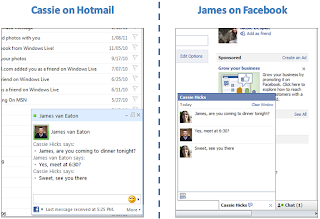 "To try it out, first connect your Facebook account to Windows Live and make sure the “Chat with my Facebook friends in Messenger” box is checked to give your consent to Facebook. 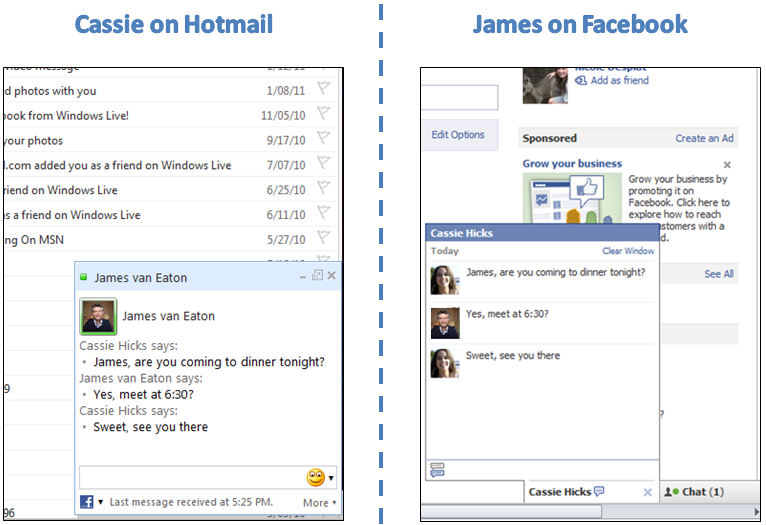 We’ll link your accounts (this may take a few minutes), and you can start a chat from Hotmail just by clicking on the name of a Facebook contact. If this doesn’t work right away, sign out and back in again, and you should be good to go."